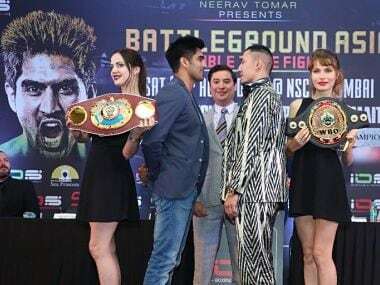 Does the trash talking ahead of these pro-boxing bouts bother Vijender? "Oh no, not at all," said the Olympic bronze medallist, "I don't get disturbed by such trash talking one bit. They are just tyrying to play with your mind. 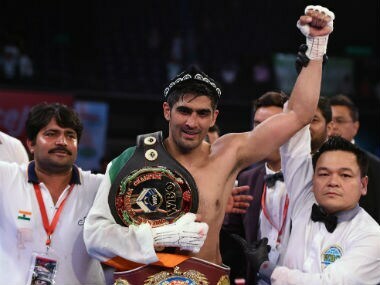 India's star professional boxer and Olympic bronze medalist Vijender Singh will clash with China's undefeated, left-handed fighter Zulpikar Maimaitiali for a double title fight on 5 August. 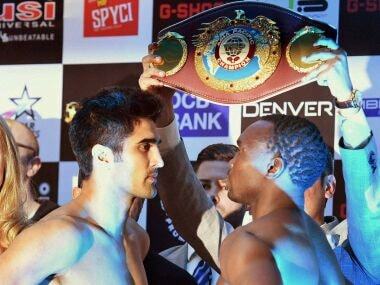 Indian boxing star Vijender Singh takes on former world champion Francis Cheka to defend the WBO Asia Pacific super middleweight title defence on Saturday. Indian boxing star Vijender Singh will face the most accompalished opponent of his professional career when he defends his WBO Super Middleweight Asia Pacific title against former world and current intercontinental Champion Francis Cheka in New Delhi on 17 December. 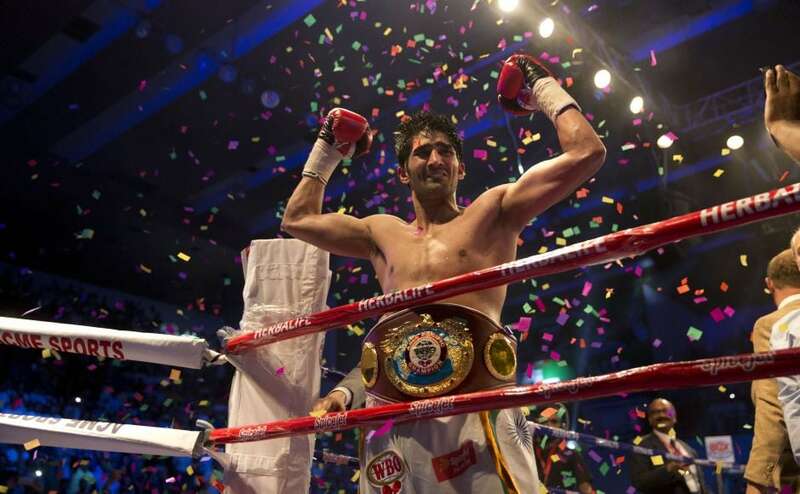 Indian boxing star Vijender Singh today broke into the World Boxing Organisation's (WBO) rankings at 10th after being crowned its Asia Pacific super middleweight champion in New Delhi last month. 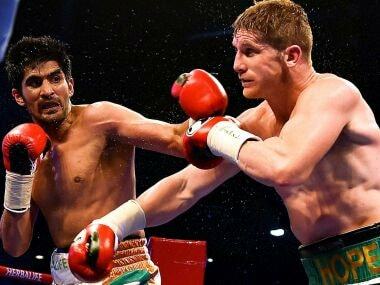 Vijender Singh has come under fire three days after beating Kerry Hope, with a case being filed against him for 'insulting' the Indian national flag. "Be careful what you wish for kid", was British boxing star Amir Khan's response to Vijender Singh and his promoters' proposal of a possible showdown with the Indian in the coming few months. 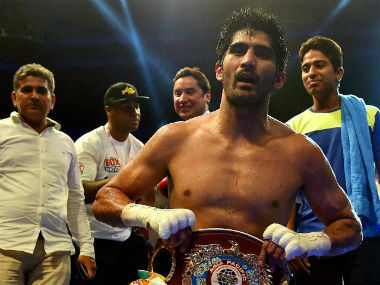 Vijender Singh had to unlearn a few tactics from his amateur days in his unbeaten journey to the WBO Asia Pacific title, said his British coach Lee Beard. 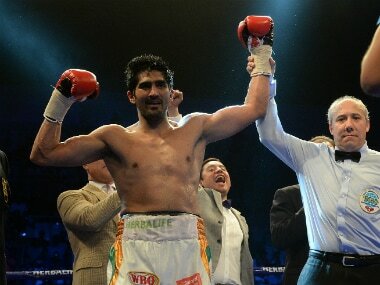 Vijender Singh wins the WBO Asia Pacific Super Middleweight title against Australias Kerry Hope in New Delhi. Vijender Singh says he will savour the triumph over Kerry Hopefor a while before looking at a showdown with Pakistan-origin British star Amir Khan.